Once a WAR board has been created, it can be shared with other Class Charts users. To begin sharing, click on the three lines menu in the top right hand corner of the page and select WAR boards. A list of created WAR boards will be displayed. To share a WAR Board with other members of staff, either click on the person icon on this page, or click on the Share war board button when viewing a WAR board. Either of these options will open up a pop up window where you can choose which staff members to share the WAR board with. 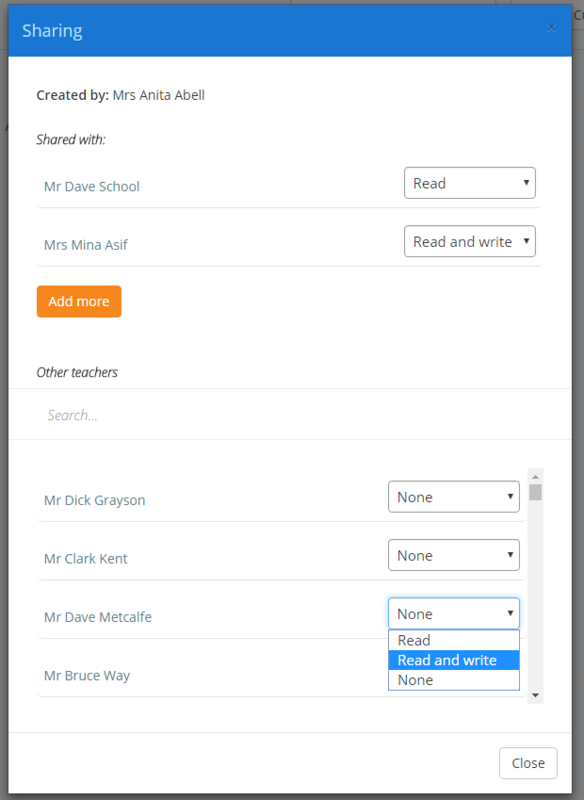 Click on the Add more button to select a staff member from the list. Shared users can have two permission levels: Read allows users to view the War Board whereas Read and write allows users to view and edit the board. 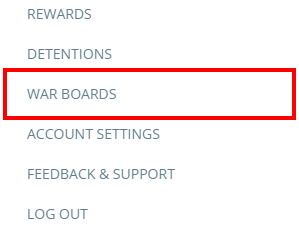 Once a WAR board has been shared with a user, they will see the WAR board under the Shared with me heading in the WAR boards menu.